Do your students excel with worksheets? Do you sometimes just need a worksheet for something quick for them to do while you work with another child? 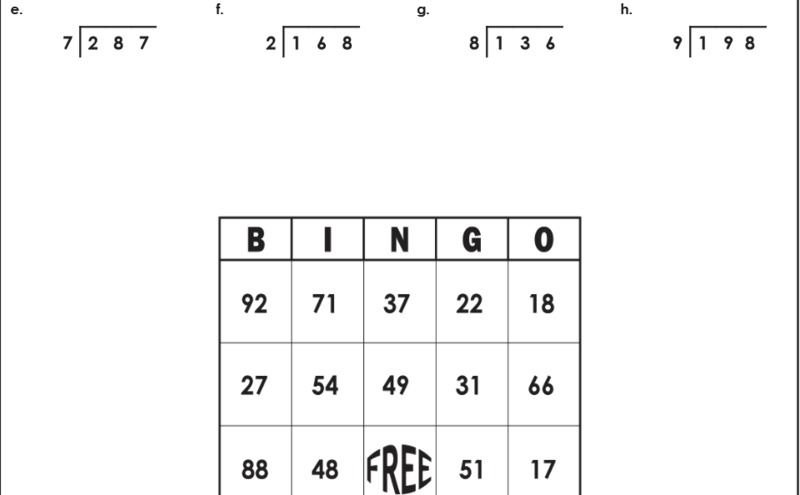 Do you want worksheets to help your students with math drills or other topics? Then Super Teacher Worksheets is a website that will be right up your alley. 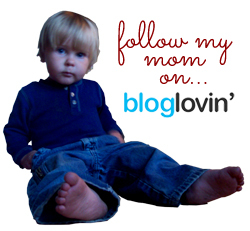 For the purposes of this review, I was given an Individual Membership to the website. An annual membership to this website (which has thousands of worksheets in a huge variety of subjects) retails for $19.95. The site has worksheets that you can download and print for grades kindergarten through 5th, and I’ve found that it’s been a huge benefit in our school. There are way more worksheets than you’d ever need (I bet), and they cover multiple topics within each major school subject (math, reading, writing, handwriting, grammar, spelling, science, social studies, holidays, puzzles and brainteasers, teacher helpers, preschool, and a “create your own worksheet” feature). It can be a bit overwhelming at first, but it’s really not so bad. The worksheets are all arranged by subject and then by grade level after that. For our family, I found that we ended up using mostly some of the “fun” math worksheets, but I also fully intend to utilize those from the reading and writing category. There are lots of good ones there that I’ll talk about in a minute. While Seahawk was working out the division problems, Munchkin worked on a Mystery Graph worksheet. He hadn’t done anything like this before, and it was a lot of fun for him once he got the hang of it. 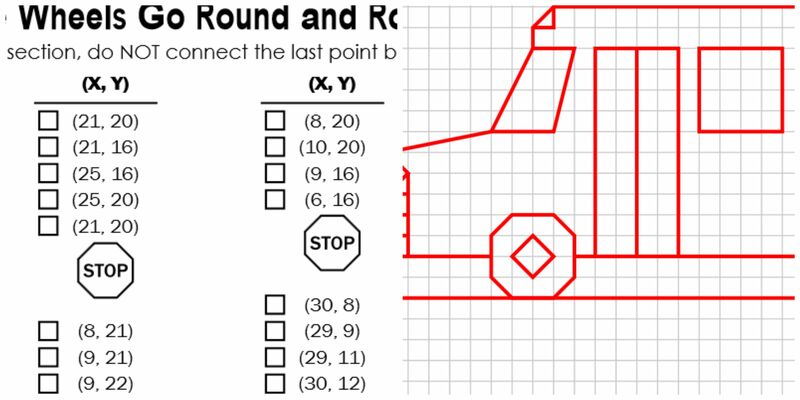 He was given a series of number coordinates (similar to a Battleship game, but with only numbers instead of numbers and letters) to plot and connect. When he was finished, the dots made a picture (in his case, a school bus). Beyond these fun math activities, I want to talk a minute about the language arts worksheets I mentioned earlier. There are so many great options here, but the one that we used the most was the “Writing a paragraph – Hamburger” worksheet. 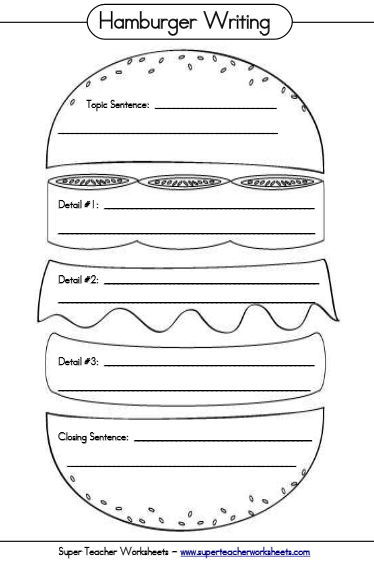 This was so cool because it has a fun picture – a hamburger – and each element of the picture is designed to be a sentence (or a sentence idea) all related to the main topic, which will help the children learn to write a paragraph all on the same topic. I had the kids use this for our Tuck Everlasting study – before we started the book, I had them write a report on Juan Ponce de Leon and the Fountain of Youth (more on that in another review in a few weeks). Using the hamburger worksheet really helped them streamline their ideas into proper paragraphs. These are just samples of what we’ve actually used so far. There are so many other amazing resources on this site that I’m really looking forward to using (cause and effect, literature studies, and many more). 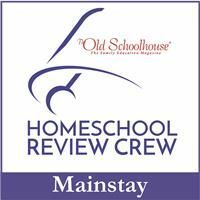 I’ve only scratched the surface in this review, but fortunately, there are loads of other homeschoolers reviewing this wonderful site this week. I hope you’ll take a minute to see what they all have to say about it (just click the banner at the end of this post). I’ll leave my review at this: I’m really glad I have a whole year to explore this site and utilize all of the amazing things it has to offer.